AVANTech is a nuclear supplier that has performed comprehensive services for both commercial and government nuclear clients. This experience includes all facets of design-build-operate performed in accordance with our NQA-1 Quality Assurance Program. 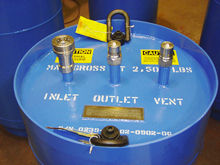 We have delivered products and/or performed services at most government nuclear facilities in the country. Furthermore, we have delivered equipment and performed operations for the many commercial nuclear power plants. Our nuclear experience coupled with our water treatment skills enables us to make a unique service offering. 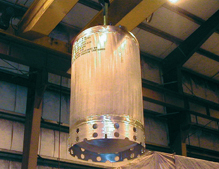 AVANTech’s products are designed and built to meet the rigorous standards of our nuclear industry clients and we are committed to providing service that is second to none! The company’s engineers and technical staff has extensive experience working with commercial and government facilities to solve complex process and fabrication problems. One of AVANTech’s greatest strengths is the ability to transform ideas into practical and effective solutions. 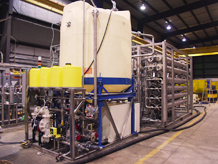 AVANTech is a supplier of superior quality water, wastewater and wet-waste treatment equipment that is custom tailored to meet facility standards and performance requirements. We don’t supply commodity equipment, nor do we have a philosophy where "one-design" or "one-size" fits all. AVANTech’s equipment is designed, fabricated and tested based on our operating experience and recognized standards from the American Water Works Association, American Society of Mechanical Engineers, Military Standards, as well as other reputable organizations.